Victor Moses ) is a Nigerian footballer who plays for Premier League club Chelsea. Though he is capable of playing a variety of positions in the field, he has mostly played as a left winger. He has represented England at under-16, under-17, under-19 and under-21 levels, but opted to play for the Nigerian national football team. 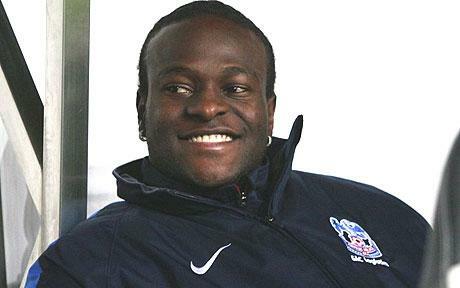 Moses was discovered by Crystal Palace scouts while playing football in the local Tandridge League. The scouts were so impressed that he was right away offered a place in the Eagles' academy. He first came into the limelight at 14 years of age after scoring 50 goals for Palace's under-14s side. He soon settled in to the squad making his debut in the Championship on the 6th of November 2007 scoring 3 times in his first season. At the end of the season Palace signed a four year contract committing his future to Palace. He became the hottest prospect in football when he chased down five goals in eight games during the 2009-10 season. On the final day of the window transfer, he transferred to Wigan Athletic for £2.5 million. He scored his first goal for Wigan on 3 May 2010 against Hull City. He scored his first league goal of the season on 13 November 2010 in a 1–0 win against West Bromwich Albion. On 24 August 2012 the transfer of Moses to Chelsea was confirmed. he was given the number 13 shirt, the number previously worn by Michael Ballack.